Aren't the colors just amazing? 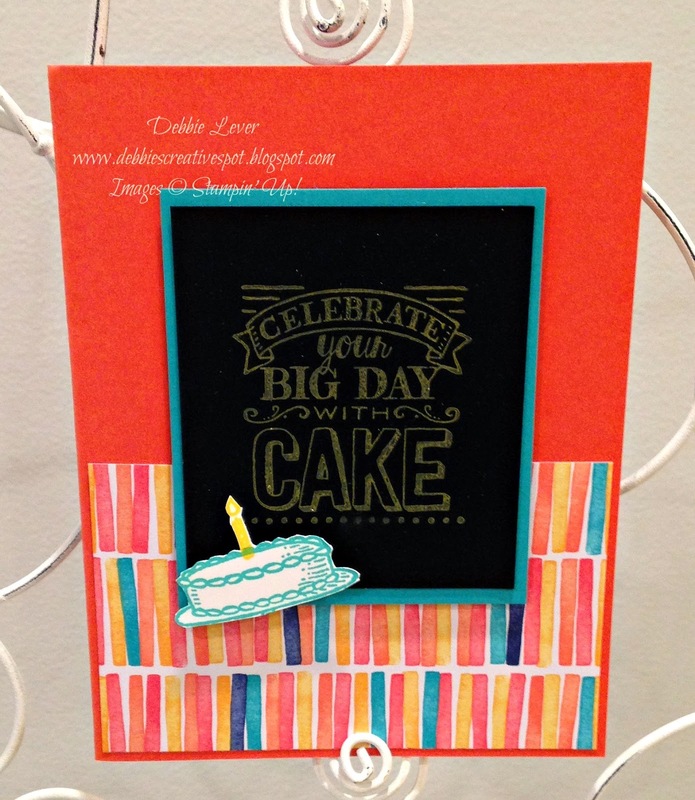 I used a piece of the Birthday Bash Designer Series Paper and pulled my color scheme from that. The scrumptious ink I used to stamp with is ColorBox Chalk Ink. They stamp so nicely! The black cardstock is Chalkboard Paper. A really nice heavy weight paper that gives the effect of a chalkboard - especially when stamped with the Chalk Ink! The ink also stamps very nicely on the Whisper White cardstock. 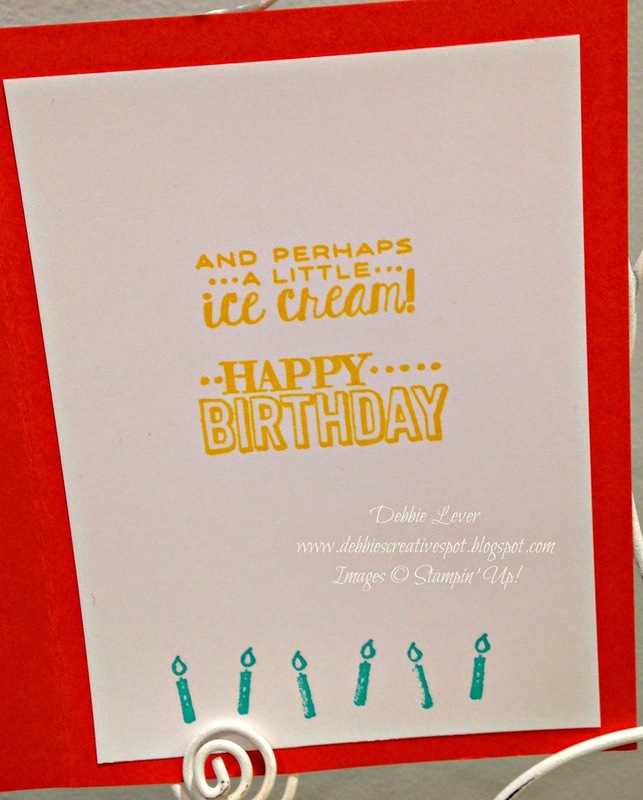 Don't forget to make the inside of your card look exciting as well!